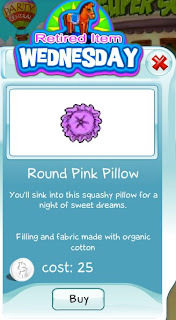 We're retiring the Round Pink Pillow as today's Retired Item Wednesday. The if you like pillows that are round and pink, then hope on this deal now. It would only be available till midnight Wednesday, and then would never be offered again!